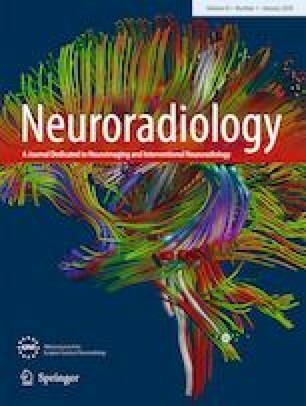 Percutaneous image-guided diagnostic and therapeutic interventions are common practice in radiology and neuroradiology, e.g. with spinal interventions for pain treatment being a major indication. Ultrasound, X-ray fluoroscopy, magnetic resonance imaging and computed tomography (CT) are used to provide image guidance. Owing to the fast volume acquisition, high spatial resolution, good soft-tissue contrast, good availability and low cost, CT guidance is commonly used for image-guidance. Accuracy of needle placement is a critical step for the success of CT image-guided percutaneous interventions. Inaccurate needle placement can lead to loss of time, unwarranted radiation exposure, adverse events, or failures such as non-diagnostic biopsy samples or insufficient treatment. Needle placement with CT is mostly being performed with the free-hand method (FHM). Here, translation from the planned needle angle to the actual needle insertion angle is estimated only. Thus, it depends on the visuospatial abilities and the experience of the physician. Moreover, in particular, when an out-of-plane trajectory is required to achieve the best anatomical route, some cases prove to be difficult when using the FHM. A range of CT navigation guidance systems has therefore been developed. Commercially available systems include apart from simple, passive, patient mounted needle holders, active systems with a locator (optical or electromagnetic) which tracks in real-time the position of the needle, or laser systems and robotic systems. However, due to a variety of reasons, including financial aspects, added procedural time and increased workflow complexity, these systems are not widely used. In this article, we describe the features of a newly developed guidance system for CT punctures, the “Puncture Cube System” (PCS), that consists of a patient mounted self-adhesive cube and dedicated software that recognizes the cube in the planning scan and allows for needle guidance through the cube. We assessed, (a), the possible exactness of the system by using numerical simulations and, (b), to compare the accuracy and time requirement for punctures with the system to the FHM method ex-vivo (phantom study). The theoretical precision to arrive at targets increased with the distance of the target but remained low. The mean error for targets up to 20 cm below the lower plate was computed to be well below 0.5 mm, and the worst-case error stayed below 1.3 mm. Compared to a conventional free-hand procedure, the use of the navigation system resulted in a statistically significantly improved accuracy (3.4 mm ± 2.3 mm versus FHM 4.9 mm ± 3.2 mm) and overall lower intervention time (168 s ± 28.5 s versus FHM 200 s ± 44.8 s). Furthermore, the number of CT scans was reduced to 2.3 versus FHM 2.8).